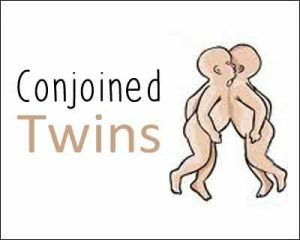 Kendrapara: Jaga-Balia, the operated conjoined twins, from Odisha are “clinically” well and do not need ICU or specialized care, AIIMS Delhi informed the National Human Rights Commission (NHRC). Jaga and Balia were craniopagus conjoined twins — joined at the head — which doctors had said was a very rare occurrence. They were successfully separated at AIIMS, Delhi after a 21-hour-long surgery in October last year. In response to the notice issued by the NHRC over a petition filed by Rights Activist and Supreme Court Lawyer Radhakanta Tripathy, the AIIMS has also told the human rights panel that the twins’ medical requirements can be managed at any state-level hospital in Odisha having good nursing and paediatric support. Earlier, Odisha Health and Family Welfare Minister Pratap Jena said, “As overstay in hospital may cause infection, we are considering shifting Jaga and Balia to Bhubaneswar from New Delhi.